The Circle of Eight is a grounded magical system for developing powerful, healing rituals based on your relationship with the land. With ritualist Jane Meredith, you can process and incorporate the unique conditions of your location—the climate and seasons, flora and fauna, the manifestation of elements, and other important aspects of place. Through explorations of mythic work, invocations, inner discovery, and relationships within magical circles, this book provides much-needed insight into the experience of local magic—whether you live in a rainforest, a city, or anywhere in between. With instructions for setting up your own Circle of Eight, Jane Meredith’s unique approach will radically reinvent your relationship with traditional circle magic. Suitable for beginners, advanced ritualists, groups, and solo practitioners, this book helps you step boldly into the powerful magic of place and the great Wheel of the Year. I’ve written this book to inspire and encourage you to take the circle of Eight for your own, to engage as deeply as you can in local magic; to learn from this system and grow it in your own directions. I’ve written it because I deeply believe that local magic is the real Paganism and the global magic stems not from everyone doing the same things in the same way regardless of local conditions or where they are, but rather from everyone working magic and ritual consciously in concert with their own place while honoring the whole earth. Circle of Eight is an exciting new approach to magic that is based on your geography, your climate, and your experiences. Circle of Eight can be used to celebrate the Festivals of the Wheel of the Year; to create an ongoing ritual group; and to explore and develop magical relationship with the land around you. 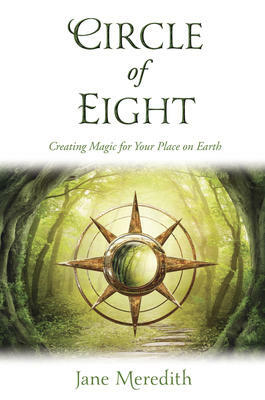 Providing instructions on how to set up your own Circle of Eight and stories illustrating important magical principles, the Circle of Eight radically reinvents our relationship to traditional circle magic. Suitable for beginners seeking ritual and magic that are relevant to them as well as advanced practitioners, this book helps you step deeply into the powerful magic of the directions and the great Wheel of the Year.